Today am going to share with you the recipe of my all time favorite Pepper chicken roast in Indian style. Pepper chicken is a South Indian popular spicy dish. I also love the Chinese style pepper chicken recipe, will share the recipe soon. 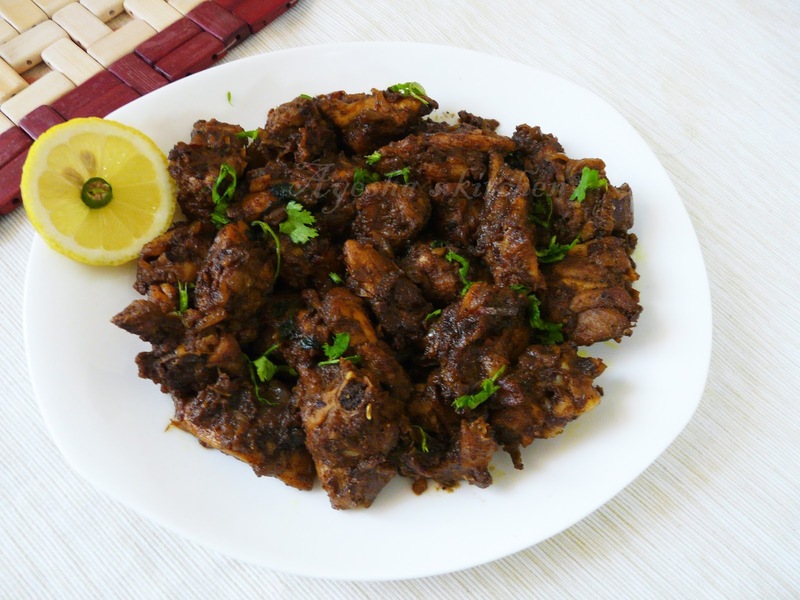 The Indian style pepper roast is one of the chicken dishes which I often love to cook when I am late in the kitchen. 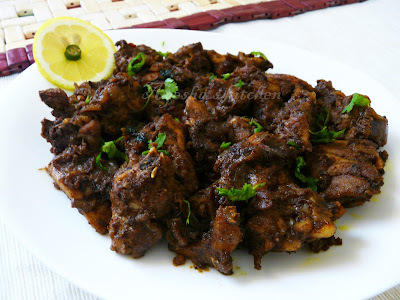 An easy, quick and spicy dish with a peppery taste which I liked the most. I just love to cook and eat dishes using pepper than red chili powder. I used freshly powdered pepper and fennel seed in this dish which enhances the flavor of this dish. More over, I just skipped using tomatoes in this dish which will give a reddish texture instead used curd and adding pepper powder for final garnishing together makes this dish very special. So hope you all try this dish once and don't forget to drop your valuable feedback. 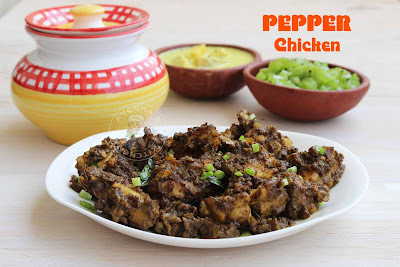 Hope you all will surely enjoy my special Indian version of Pepper chicken roast. Heat oil in a wok and saute ginger garlic paste, green chilies for one minute. Then add fennel seeds and saute again. Now add the sliced onion along with salt. Saute on a medium flame till onion becomes translucent. When done add the spice powders. Turmeric powder, coriander powder and 3 tbsp of pepper powder. Check for salt and cook until the raw smell of spices goes off. Then add curd and again cook until oil separates on the top over a medium flame. The gravy will look very dark and now add the chicken pieces. Cook with the lid closed till chicken is well cooked. When done, open the lid and add coriander leaves, curry leaves. When the gravy thickens add 1 tbsp of pepper powder. This will gives the gravy a fine peppery taste with an excellent texture. You can either use pepper chicken along with gravy or can dry out the entire gravy and use as a pepper chicken dry roast. Serve this yummy classic chicken dish along with fried rice, naan, chappati, roti etc..